A refined boot has arrived, and it is the Born Kristina bootie. 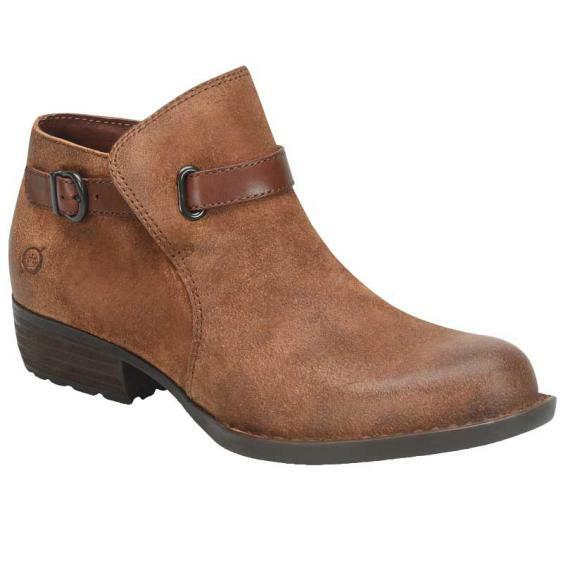 This women's ankle boot features a full-grain or suede upper with an adjustable strap with buckle . The microfiber linings help wick moisture away from the foot for a healthy environment, and the side zipper helps with easy on/off. A generously cushioned footbed with arch offers support and comfort for all-day wear. The short heel and rubber outsole leave you walking in confidence, and you can count on Opanka hand-crafted construction to provide a strong yet flexible bond. Enjoy comfort and style with the Born Kristina booties. These are my first pair of Born Boots.